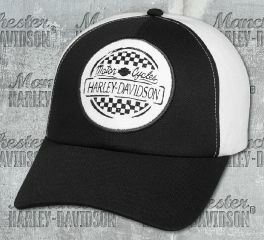 Harley-Davidson cloth, leather, or mesh women's baseball caps keep the sun out of your eyes and your helmet hair covered. To make every day a good hair day. 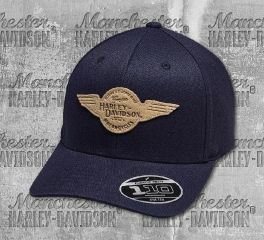 Harley-Davidson® Winged Patch Baseball Cap is made from 60% brushed cotton, and 40% polyester. 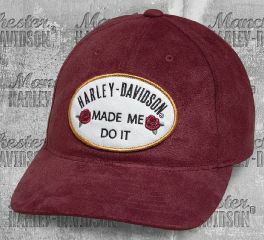 It features a winged patch on front, embroidered Harley-Davidson® script on the side, and adjustable velcro closure for custom fit. Graphics: Embroidered patch. Embroidered graphics on back. Let your love for the ride shine in the Tonal Sequin Logo Cap. Aside from looking awesome, this women's baseball hat is styled in the New Era 9Forty silhouette and helps calm windblown locks or helmet hair. Let your love for the ride shine in the Sequin Graphic Cap. Aside from looking awesome, this women's baseball hat is styled in the New Era 9Forty silhouette and helps calm windblown locks or helmet hair. 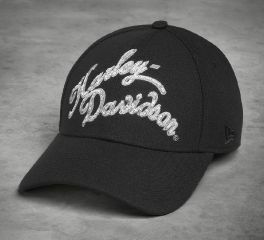 A sprinkling of black gems delivers a subtle elegance on the soft cotton Black Rhinestone Cap. 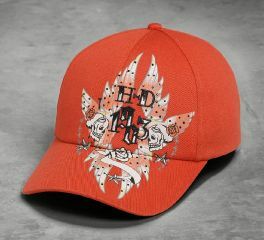 The scrolling embroidered graphics add to the charm of this women's baseball hat. 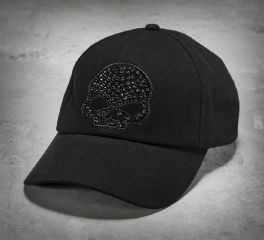 Top off your look with the comfortable Skull & Flower Cap. Twin skulls and roses face off on our cotton women's baseball hat in a cheerful shade of coral.